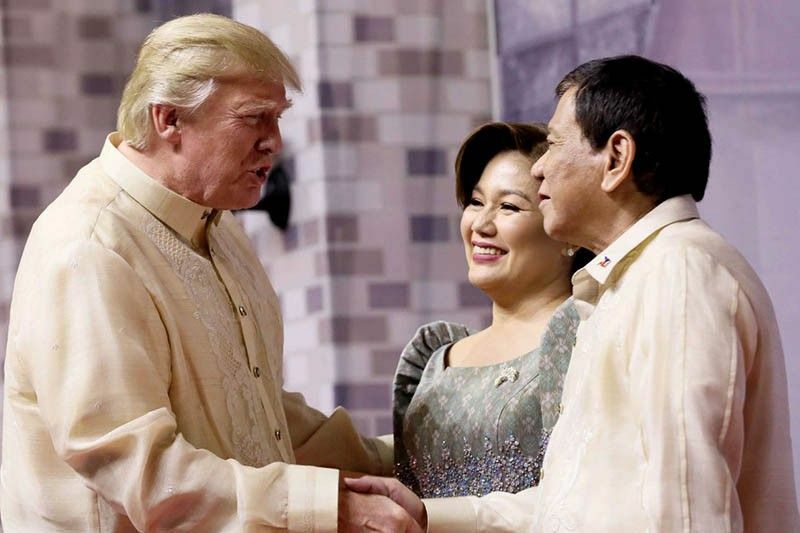 MANILA, Philippines — Filipinos still trust long-time ally and former colonizer the United States the most despite the Duterte administration’s efforts to warm ties with China, results of a new Social Weather Stations survey suggest. Of 1,440 Filipino adults surveyed last December, 71 percent said they have “much trust” in the US, while only 11 percent said they have “little trust” in the superpower. This yielded a “very good” +60 net trust rating, barely moving from +59 recorded in September 2018. Washington has always scored a positive trust rating since the first survey in December 1994, the polling firm noted. The United States was followed by Japan, which garnered “good” +34. This was one grade and six points higher from the “moderate” +28 in September 2018. While the net trust rating for Australia stayed “good” at +31 in December 2018, this was down by five points from +36 in June 2018. The same survey found China staying in the negative levels with “neutral” -7 after 39 percent said they have “little trust” in Philippines’ non-traditional ally, while 31 percent said they have “much trust” in it. This, however, was an improvement from the “poor” -16 recorded by Beijing in September 2018. “Net trust in China has been positive in only nine out of 48 surveys since SWS first surveyed it in August 1994. It reached as high as moderate +17 in June 2010 and as low as a bad -46 in September 2015,” SWS said. The survey was conducted from December 16 to 19, 2018 using face-to-face interviews. It has error margins of ±2.6 percent for national percentages, and ±5 percent each for Balance Luzon, Metro Manila, Visayas and Mindanao.